Very nice painting … from a Southern New Jerseyan! Thanks, glad you liked the watercolor. I too, love the endless painting and photographic opportunities in Southern New Jersey! All your watercolors are so beautiful and so well carried out. I love how you have added nice details. I usually don’t get time enough. Anyway, great art! Thanks! 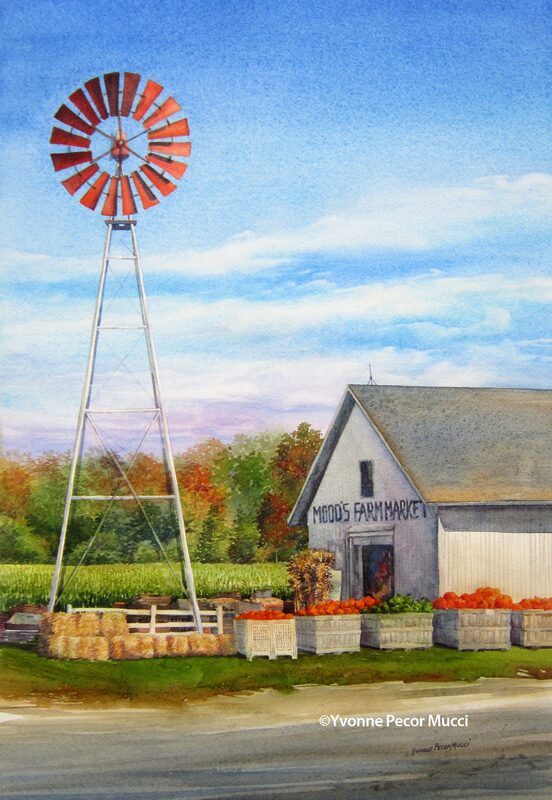 It is really a beautiful scene to paint, so many open farmlands in southern New Jersey.